If you recently updated Kodable on your iPad, you might have noticed that Kodable looks…a little…different. You’re right! Why did you change the menu? Kodable is a modular, comprehensive curriculum, and we wanted our game interface to reflect that. Now, you can seamlessly transition from concept learning guides, to screen-free activities, to in-game lessons, to vocabulary workshops. How does this new menu teach programming? Each programming concept we teach is separated into units. Units are now scaffolded into multiple easy-to-digest lesson collections in Kodable. We have seen this boosts learning outcomes and saves teachers time in lesson planning. How do I navigate the new menu screen? The new menu screen is ordered by concept and each concept is indicated with it’s assigned command in Kodable. An arrow indicates Sequence, a colored tile Conditions, rotating arrows Loops, and brackets symbolize Functions. Did I lose my student’s progress? No! All of your student’s progress has been saved, but the order of some of our lessons has been changed slightly. To help with this transition, we’ve included this ‘lesson migration reference’. How does this work with the new dashboard? The curriculum tab on your dashboard now directly matches what students will see on their devices. Each concept in your curriculum tab matches a ‘section’ of the Kodable world. Each unit inside that concept is matched with a collection of lessons in that concept. As students complete lessons, you will see their progress reflected on your class dashboard. You can also be confident that the lessons in the game will directly correlate with the activities, learning guides, and vocabulary lessons we provide for that unit. The names in the game don’t match the names on my dashboard! We’ve found that kids don’t always get excited for games with titles like ‘Sequence Unit 1,’ So we’ve included fun, exciting names for kids that will boost engagement. You can always see the name of the unit that kids will be attempting by going to the curriculum tab and expanding the corresponding unit. Where is the parent teacher portal? Bugs Below and debugging concepts are now contained within Sequence, Conditions, Loops, and Functions concepts. After careful consideration, we believe young students should begin developing debugging skills and start practicing these techniques with every concept. 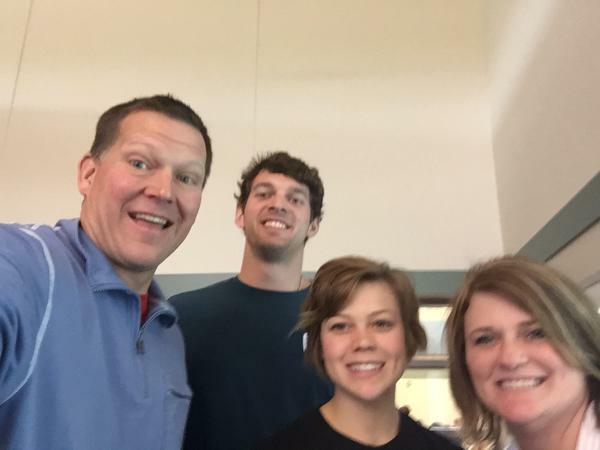 After 2 great days in Minnesota, we headed south to Sioux City, Iowa where we spent the day with Loess Hills Elementary doing PD sessions and programming workshops with a wonderful crew! Loess Hills spoke at length with us about their desire to continue expanding their coding curriculum, but also their plans to integrate it with the common core. We spent our PD session brainstorming and demonstrating how Kodable can be integrated with the CCSS. It also taught us the importance of making this connection easier in Kodable, and this is something that we plan on adding in the future. As of right now, we have a list of the common core standards that Kodable aligns with, but many of these are math standards. After our PD sessions and workshops, we realized that we should work on making Kodable align with more reading standards, and we came up with some great ideas together to make this a possibility in the future. So thanks to the team at Loess Hills, look for many more exciting changes to come! Loess Hills is doing great with teaching coding so far, but thanks to Polly Meissner (@libraryPolly), Layne Henn (@sctechbuzz), and many others, they plan to expand this in the future. This means more time spent coding, and further integration into the school curriculum with more teachers onboard and taking part. We had such a great first day in Minnetonka that we decided to stay for round 2 the very next day! 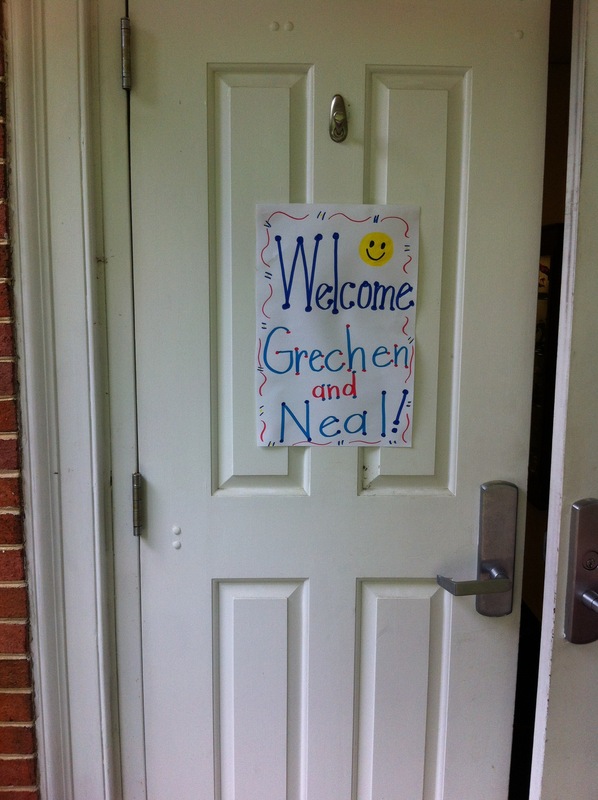 Today’s stops included: Clear Springs Elementary and Cedar Ridge Elementary. In the morning we met up with our great friend Jeremy (@JEngebretson75), and got prepared to start a fresh day of coding with some students. Yesterday, we spoke to many students about how important it was to use loops in the right manner, and not just use the simply for the extra boxes to take up space. Today, we helped students understand and identify how many iterations are needed for a loop, so that they can begin to use loops more efficiently. In order to determine the number of iterations, we helped the students count the corners of each maze with two fingers. By placing two fingers on the corner of each maze and counting the number of times this occurs, students were able to easily figure out the number of iterations needed for their loop. This made things much easier, as many students tend to eyeball and then guess the number of iterations that they need. Furthermore, since they had discovered a way to easily identify the number of iterations, these students tended to use loops in a more efficient manner, and discarded their old methods. During our sessions at Clear Springs, we encountered one of our favorite rating systems, the thumbs up if you understand, and thumbs down if you are still confused rating system. This immediate feedback was very useful for our lesson to help gauge if the students understood the material, and we ended up using this a number of times to help explain some of the more difficult concepts such as binary code, translating code, and how exactly loops work. We have already talked a little about the ask 3 then me rule on our trip, which has worked very well so far. But in today’s class we also saw the importance of having students be the experts. In this session we had several students who were flying through the game, and some others who were finding some of the challenging levels a little bit difficult. When we paired those who were struggling with those who had already finished a particular level, the results were phenomenal. Take away: Many students will move quickly through lessons while others will be more challenged, and quite a few students will play at home and finish Kodable as well. Since there are often many students who are on several different portions of the game, it can sometimes get tricky if you want to complete a lesson that many students have already finished. Instead of forcing these students to red0 levels they have completed or let them move far ahead of other students, instruct them to help others, and teach the concepts to their fellow classmates. Jen’s class had limited experience with loops, but that did not stop them from picking it up very quickly. We had put aside several minutes of discussion for loops, but in a matter of a few minutes, all of the students had firmly grasped the concept and were ready to move on to using loops in Kodable. Instead of holding them back, we move straight to loops lessons and watched them get busy coding! 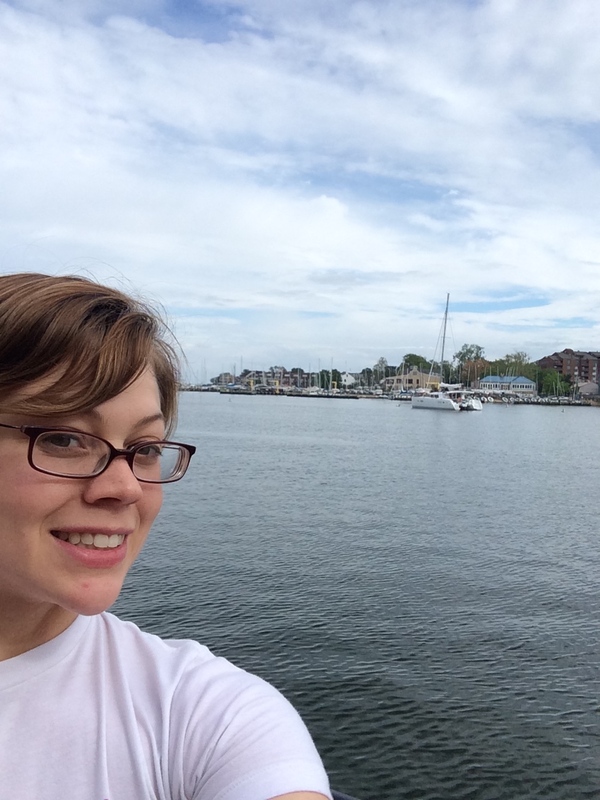 Jen shared with us her awesome plans to teach Computer Science….as an actual science next year! In place of teaching other Science topics, Jen plans to make time for Computer Science during these units, and make it a staple in her classroom curriculum. We can’t wait to hear more about how her ambitious plans work out next year! And we are off to Iowa! Stay tuned for our blog about our visit to Loess Hills Elementary. 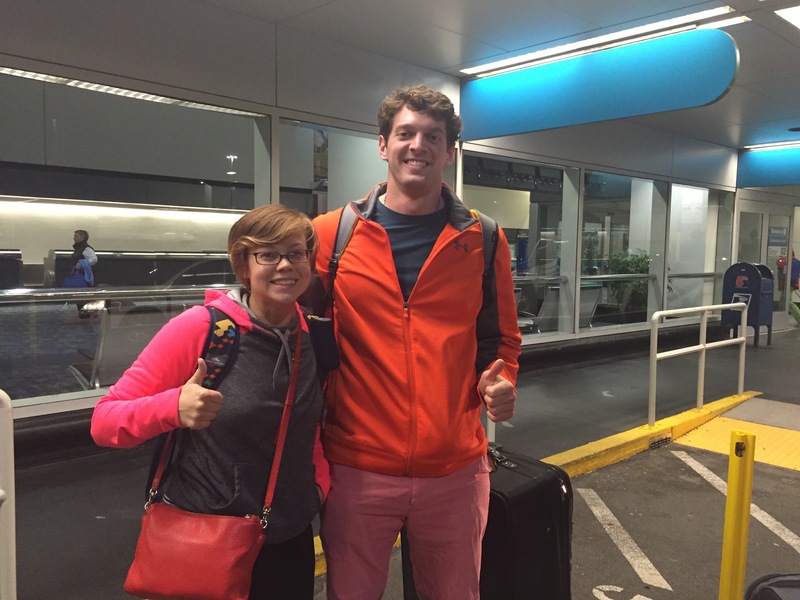 After finishing Day 6 of our #KodableRoadTour in Boston, we decided to switch things up a little bit and flew to Chicago to check out what was happening in programming education in the Midwest! Today’s stops included: Chicago Jewish Day School and Middlefork School. As the students progress in Kodable, it can get challenging. Sometimes, when a student first looks at a level, they turn to look at you, and immediately feel that they are going to need help. Most time however, this is not the case! At Chicago Jewish Day School we found that the ask 3 then me rule worked to perfection, and students worked even better when they collaborated with each other to solve a Kodable lesson. When a student asked me for help, the first thing I would ask them is if they had consulted a friend first. After this, all of them were eager to go to their classmates for help, and this turned out to be an amazing learning experience for all. When we were helping Alex pass out her students iPad’s at Chicago Jewish Day School, we noticed that some sported the names of states and others had animals names on the back/front. When calling out and asking the students whose iPad was West Virginia, we realized that this was a great idea to organize the iPads in this way. Students were asking for the names of various states and animals while receiving their iPads to begin coding, making for a great learning experience. We are always coming across some amazing techniques as we travel to classrooms across the country, but this one was particularly original and also quite funny. Never thought I would see a student calling out for Oregon or searching so hard for California. The future forecast: Sunny, with a chance of more coding! Alex and her students were excited to complete the unplugged fuzzFamily frenzy activity, and were also thrilled to do more with Kodable in the future. We were really excited to be able to stop by and see how far they have gotten already with coding. We are always so impressed by our young learners, but especially the students we met at Chicago Jewish Day School. 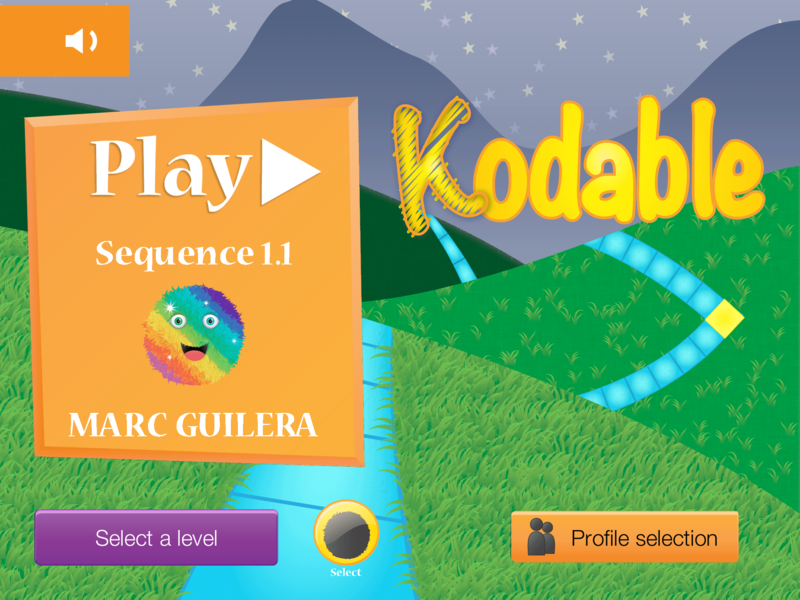 While at Middlefork School we discovered a great new way to help teach conditions to your students in Kodable. Conditions can be tough, and we often are brainstorming and trying to find new ways to explain them to our young learners. However, Grechen and I found during this particular session that a good way to help the students learn is by helping them first go over their options and test. First, instruct the student to simply not use a condition, and watch what the fuzz does when it rolls. Next, instruct the student to try the same segment of code when using a condition, and discover what happens then. We found that presenting students with all their options really clarified the function of conditions, and cemented in the idea of when it was necessary to use a condition, and when one was not needed. Another good way to present conditions in Kodable is as a decision making tile. Does your fuzz need to change direction? If yes, then you need a condition, if no, then a condition is not necessary. Favorite moment: At the end of our workshop we met with Jen’s coding club for a great question and answer session. And we for sure were not disappointed! One question we received from a student very interested in coding was particularly impressive, and even had us talking for awhile after the workshop concluded. This particular student was a 3rd grader, and asked us if “we chose to code Kodable in Java because it is platform independent?” From a 3rd grader! It just goes to show that the sooner that students are introduced to programming the sooner they can start doing and learning amazing things. I never thought in my life that I would hear the words Java come out of a students mouth when speaking about programming. Thanks so much to our Day 7 teachers, students, and schools! After a weekend to recharge, we ventured off to the Boston area for Day 6 of our programming road tour. Today’s stops: Downey School and Horace Mann Elementary. At Downey School we met up with Judy Kress and an eager group of Kinders/2nd graders who were more than ready to get started coding. As we continue to work on and improve our workshops, we started out with a great learning experience at Downey. When running through our fuzzFamily Frenzy activity and programming our robot, we lost/confused our audience midway through the activity. We challenge our young students in the activity by introducing them to new terms, and concepts. This includes programming terms such as coding and binary, as well as concepts such as rotating/spinning a certain number of degrees when coding our robot. Today, our kinders/2nd graders were a little confused with the concept of rotating a certain number of degrees, something they had not gotten to cover in class just yet. We learned that it is important to make sure that all of the students have a firm understanding of new terms and concepts before moving ahead. When writing code on the board for our fuzzFamily frenzy activity, it is important to make sure that students are clear on the code being used, as well as the basic functions of our robot. In retrospect, we should have explained the concept of rotating, talked more about degrees, and made sure that these difficult concepts were clear before moving on. Or even better, we could have described them in simpler terms, or talked about rotating our robot in a way that they would better understand. We had the wonderful opportunity of meeting girls in a coding club who couldn’t stop talking about how awesome it was. 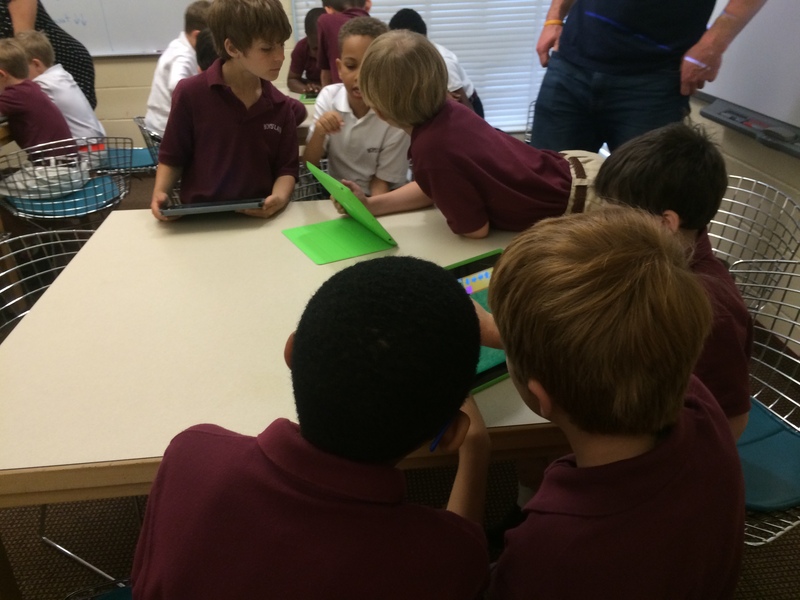 It was great to see their passion and interest, as well as their desire to continue learning more coding concepts. These girls were clearly really smart, and we all would benefit if they continue with coding. Thanks to Judy and the rest of the crew we met at Downey for all of the awesome pictures! Check out our amazing slideshow below of our morning. 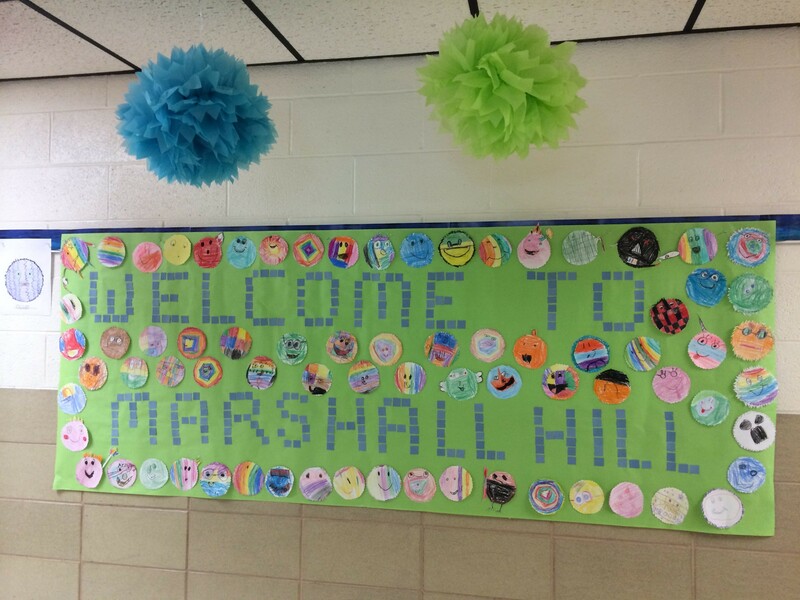 When we visited Patti and her students at Horace Mann, we were certainly not alone! During our programming session were were joined by many other teachers and parents who wanted to learn more about programming. This served as a great opportunity to get others on-board, and advertise how awesome coding can be for our young students. It also did not hurt to have extra volunteers to help the students along in our workshop, and made for a wonderfully collaborative experience. By the end of the session everyone was super impressed, and we fielded tons of questions about continuing coding and where to learn more for the future. In our last session with Horace Mann 5th graders, we brought in expert help from our team member Marc, who helped us out with answering some complex technical questions. Our students put him to the test, asking him some tough programming questions about best practices in programming and Kodable’s code base. This discussion turned out to be very informative for everyone, and I would suggest that every class speak to a programmer! Sharing thoughts, projects, and ideas is always a great way to get students excited about coding. Horace Mann plans to continue to use Kodable and develop their programming curriculum. We were truly amazed at how much coding knowledge the students had by 5th grade, and we are looking forward to seeing them expand in the future! What we learned: bugs happen; it’s okay to talk about them. We used the web version of Kodable during our first session with Kristen Magyar, and discovered an issue with the way the cursor was appearing on their desktop computers. The graphics cards were having issues rending the cursor correctly and there was a bit of a lag. Naturally, the kids clicked furiously in an effort to get the mouse working correctly. This was a great moment to have a discussion about bugs, why they happen, and how we can react to them. After talking about the bug, students showed great patience and everything worked well. We were fortunate to have a few iPads available as a back up for the students who didn’t want to continue with the issue. When the second group came in, we talked about the bug with them before they got started. This made things work much smoother and they showed great patience while working with the issue. Take away – If you discover a bug, talk with students about it. Turn what could be a stressful situation in to a learning opportunity. You can model patience and good trouble shooting behavior for the students, as well as discuss it with students to prevent impatience before it starts. Favorite Moment: I had a great conversation with the 5th graders at Highland Falls Intermediate School about creating an app, how to get started, and some other technical questions. It was a lot of fun to discuss this with them, and see their eagerness and excitement at the idea of creating technology for others to use. The future: Kristen Magyar and the team at Highland Falls are moving more into coding next year. She already has students thinking about vocabulary with words like “loops” and their definitions written all around her lab. The principal is very supportive as the technology team begins increasing the amount of coding done at Highland Falls. After a quick lunch, we scooted over to Lakeland schools to visit Linda Brandon. What we learned: Smooth Transitions – brought to you by explanations. When you go in to someone’s classroom it is a lot like visiting someone’s home. I feel a bit like I’m imposing, and want to be polite and do things “their” way. This always stopped me from being decisive about how to transition from a lesson to iPad time. Every class has their own way of handing out the iPads and giving sign on instructions. However, it usually ends up getting a bit chaotic if I don’t review how to get signed on to Kodable with the students. On this trip, I’ve learned I can ask a few review questions before saying the magical word (iPad) that sends everyone in to frenzy and make the lesson-to-iPad transition go easily. They’re listed below, and work like a charm! Favorite moment: It’s always fun to see how much students learn in a small amount of time during our coding sessions, but to people who haven’t seen the power of coding with a live class of students it can really have an impact. There were a lot of visitors in our session at Benjamin Franklin. People from all over the district were there to learn and watch our session. I loved seeing the recognition of how much learning was happening when “playing” coding. Thanks to Linda for creating this awesome Animoto! The future: Everyone in the Lakeland school district is interested in coding. It was wonderful to see so much support coming from district administrators. People came from a variety of schools and positions to watch our sessions, and were eager to learn more about implementing coding. Wow, what a day! Day 4 is in the books for the Kodable Road Tour, and our sessions just keep getting better and better. On this particular day of our programming journey, we arrived in Queens, New York, where we had tons of coding fun with our good friends at the Solomon Schechter School of Queens. What we learned: When choosing a robot for fuzzFamily frenzy…choose wisely! One of the unplugged activities that we have had great success with over the course of the Kodable Road Tour thus far is fuzzFamily Frenzy. This activity is a great starter activity for any grade level that is beginning to learn to code, and can be differentiated in a number of different ways to accommodate the skill levels of the students. We have covered sequence, functions, and everything in between in fuzzFamily frenzy so far on our tour, and the students have responded really well. This also led to a number of interesting variations of our robot program, including lots of jumping, dancing, and fist pumps. Solomon plans to continue with more unplugged activities, and was thrilled to hear about the new Kodable Curriculum. Rebecca is always looking for more ideas and has done an awesome job at getting more teachers at her school on-board and started coding. Be sure to follow her at @Edtechmorah to learn more about the neat stuff she is doing with coding at her school and share ideas. Favorite Moment: What to do when the WiFi is not working? We often talk about our greatest fear when in the classroom…and that is what to do when the WiFi is not working. For a slight moment in our visit…this fear struct all of us. However, not to worry…because we had plenty to do in the meantime! When the WiFi wasn’t working we quickly moved to unplugged, shared devices, and completed Kodable lessons together. Just because a problem comes up doesn’t mean that there is any reason to panic, and this experience clearly demonstrated this. Instead, it gave us a great opportunity to pair program, answer questions, and work together on a number of programming challenges. 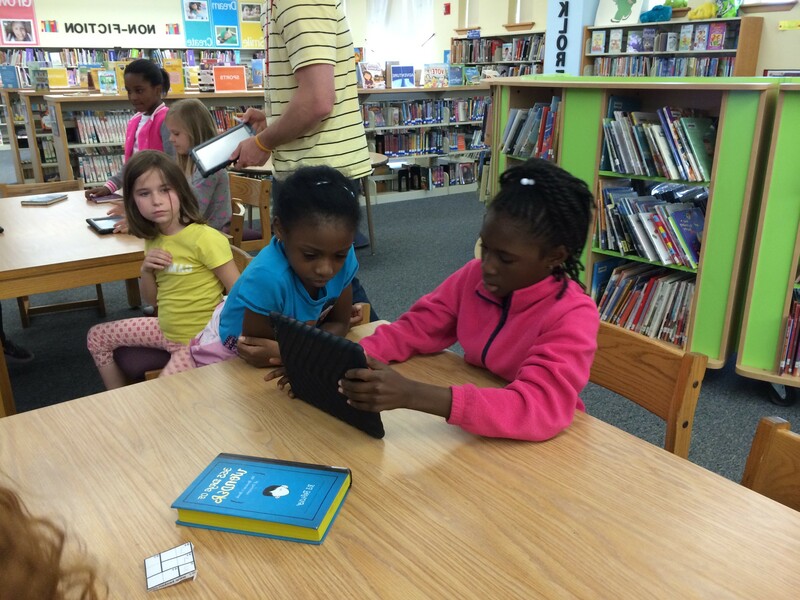 We did some advanced looping with the third grade coders of Clinton Elementary. The students we talked to all showed great interest in learning to code, so we decided to jump in to loops during the unplugged activity. After doing the unplugged version of loops, we projected Kodable on the SMART board, so everyone could see how loops work in the game. We solved a couple lessons together, and talked about how these loops are different from loops they’ve done in other programs. Once everyone said they felt comfortable, we handed out the iPads for them to try on their own and in groups. Take away: Talking about how the loops worked differently, solving a few lessons together, and preparing with discussion, helped the actual individual work go really smoothly. Favorite moment: During our conversation on bugs in programming, we diverted on to a science lesson on why insects are different from arachnids. Without thinking, I said arachnids were not bugs – WRONG! I was quickly reminded that arachnids are, indeed bugs. 🙂 +1 to Clinton Elementary first grade scientists. Question for the Kodable community: Do you know any good programming books for kids? Look at all those lovely fuzzes! Conditions have always been one of the hardest things for me to explain. I’m always trying new ways to make such an abstract concept seem more concrete. Logically, it is simple to understand, “If this, then that,” but because it is such a logical expression it is hard to make it concrete in language the littles can understand. I’m going to keep trying this as we continue on the road tour. 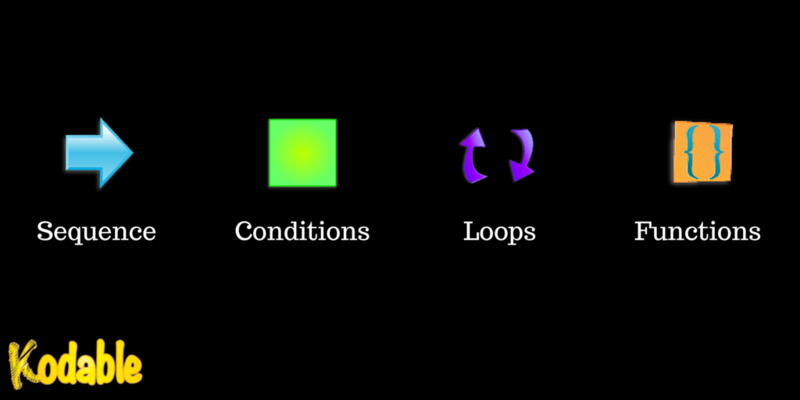 Perhaps it will make it’s way into the next revision of the Kodable Learning Guide on Conditions. Will you give it a try? Let me know how it goes in the comments! Expert coders working on conditions. Everyone at Marshall Hill is on board with coding. It was wonderful to see all of the staff so engaged and excited about getting their students in to programming. Cindy Ranieri and Laura Oaks (@LauraOakes31) are doing a great job of building a community around coding, and they hope to continue that next year with more integration. Today, the #KodableRoadTrip took us to Wilmington, DE and Newtown Square, PA, where we got a chance to visit with some awesome teachers and students preparing to take programming to the next level! When we first began our lesson with Tatnall’s 3rd graders, we expected to cover the basics of sequence, debugging, and review/practice the specificity needed to create a detailed and effective computer program. However, once we were 5 minutes into our lesson, we realized that our 3rd graders needed more of a challenge, and were ready to take on more advanced programming concepts. Our fuzzFamily frenzy screen-free activity soon transformed into a loopy lesson, and students began explaining/demonstrating when to use a loop, how to create one, and why they are important for programmers. In the startup world, it is always important to know when to pivot when working on your product, and the same can be true in the classroom when teaching a programming lesson as well! Colleen Hoban spoke with us at length about her amazing and ambitious plans to organize a Parent Tech Night for Tatnall School. Once the school completes a few wifi fixes, she plans to get started and is looking for more ideas. We did our best to offer our advice, but we would like to hear from more educators as well! Please send some tips to Colleen via Twitter @ColleenHoban. We all had a good laugh when Grechen began “reviewing” with Tatnall’s 1st graders the basics of binary. After a few confused looks, our 1st graders quickly reminded us that we had never spoken to them about binary. Grechen was a little reluctant to admit her senior moment, but I believe that one of the basic tenets as an Elementary School teacher is that 1st graders are a little like elephants, they never forget. Moral of the story: Never question 1st graders memory. Our 1st grade students at Episcopal were immediately ready for a challenge once we walked through the door, and we quickly dove into the basics of functions (I know! Amazing, right?! ), even writing a detailed program in pseudocode. After 3 students successfully acted out our program as a robot, we jumped into trying a few functions lessons in Kodable. 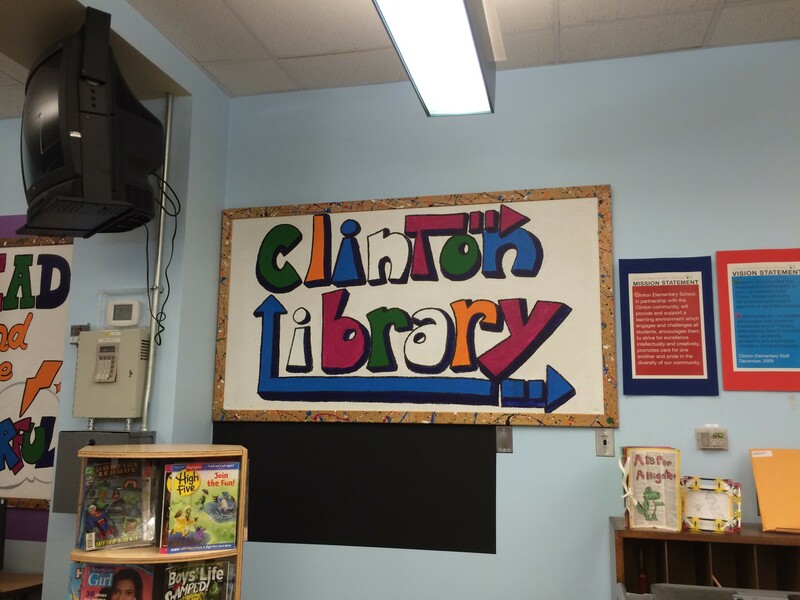 While there were many students that made this transition seamlessly, as we walked around the room, we realized that there were a few students that could have used a few more examples or some extra help. With the help and experience of the wonderful Maggie Powers (@mpowers3), we were able to help these students along and completed a very successful coding session. Take away point: Never be afraid to walk through lessons together in Kodable after an unplugged activity. It can only help, and ensure that students have a firm grasp of a new programming concept. My favorite moment at Episcopal Academy came when a student asked me to come take a look at a problem he was having in Kodable. Now, to provide a little background, when we rigorously test Kodable in our office, many times we do not have enough time or the resources on hand to put an update through the 6-8 finger test. 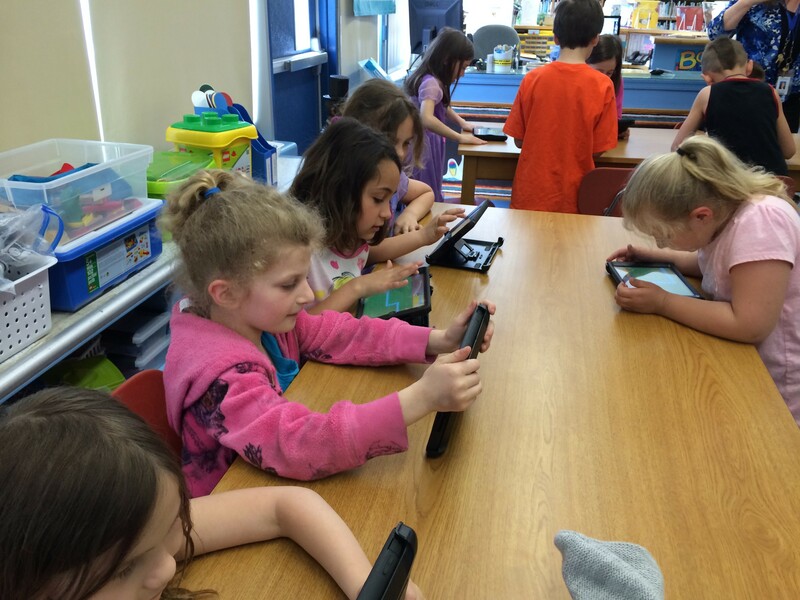 The 6-8 finger test generally comes into play when 3 or 4 students get so excited about Kodable, they all tap the screen at the same time, resulting in some interesting behavior. Our young student managed to find an interesting bug putting Kodable through the 6-8 finger test, and we had a great talk about how sometimes there is not just a bug when playing Kodable, but there are actual real-life bugs in the game itself. He seemed to have stumbled upon the latter, and we provided him with a sticker for being an awesome beta tester. Sometimes, I am just amazed at what students already know. Case in point, an Episcopal Academy student explained to us the details of game animation, articulating exactly how it works, while another suggested that Python would be a great programming language to work. After moments like these, I often have to remind myself who the one is giving the presentation and who is the first grader. Day 2 is in the books! Don’t forget to support and join in on the fun for the Kodable Road Tour and order a #KodableRoadTour T-Shirt! Today, we kicked off the first leg of our Kodable Road Tour in Maryland and got off to an AWESOME start! Those are some sleepy faces! …we arrived in Baltimore ready to rock and roll. It was time to begin teaching some programming! The Boys’ Latin School of Maryland where we talked about loops and binary – and just how many planets the fuzzes should definitely visit! Lots of collaboration with pair programming! I’ve always loved the Fuzz Family Frenzy, because it’s simple to explain and a LOT of fun. However, today it was even better. We took the activity a step further and created our own commands as a class to define exactly how many degrees our robot (Neal Rooney) should turn and how high it should jump. What’s happening in the future: Debi Krulak (@MrsKatBL) plans to integrate coding into more lesson plans as the lower school media specialist. She says knowing where everyone is at with in Kodable helps to know when to stop and spend more time talking about a concept. She had a great idea to use screen free activities as a way to asses how well students are able to apply the lessons they learn in another scenario. Favorite moment: A comical and adorable conversation about how computers can’t understand sarcasm. Next, we headed down to Annapolis for our second stop of the day! St. Martin’s In-The-Field Episcopal School, where we learned about the great Grace Hopper and that testing our code can prevent bugs. A deep discussion involving bugs and testing. 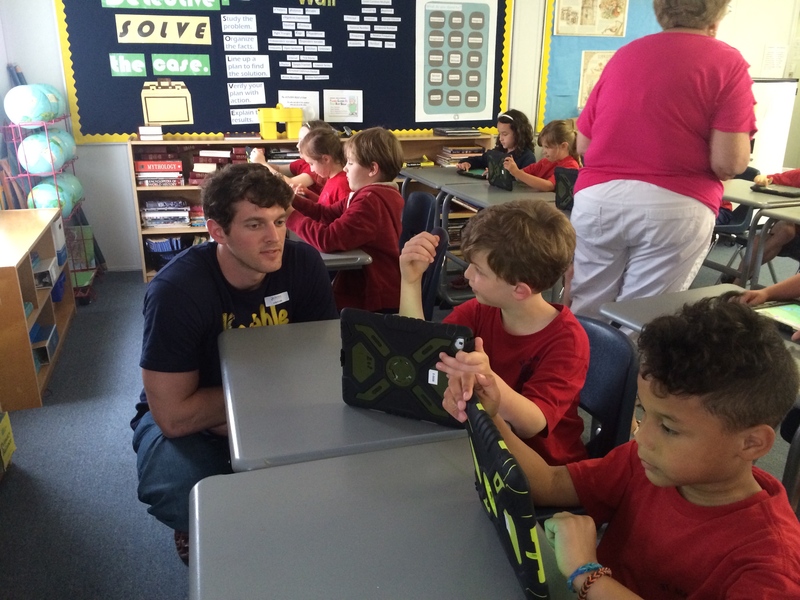 Neal and I talked to a group of first and second graders and then a group of third and fourth graders. It was interesting to see the older students grasp the concepts of sequential thinking and giving a computer commands really quickly. The extra time gave us the opportunity to try something new and talk about concepts like variables and functions. 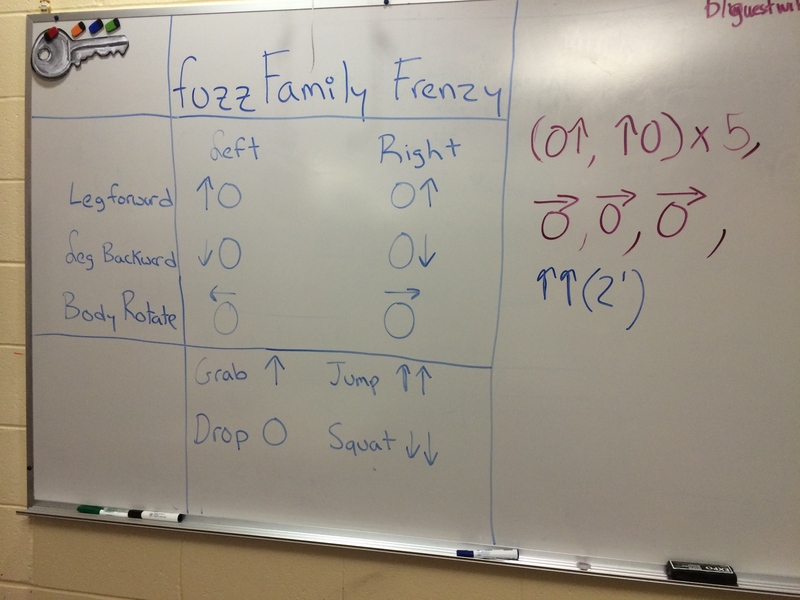 We presented the new ideas in a simple and easy to digest way: modifying the class’s original Fuzz Family Frenzy code. We added specifics like degrees of a turn, length of our steps, an height of our jumps. We also discussed how that program could be assigned as a function and used again later by calling on the name we gave it. 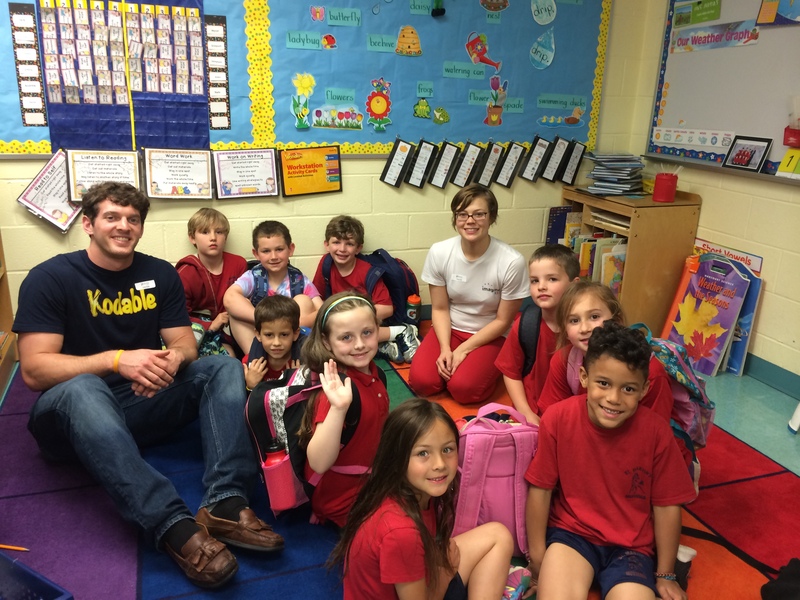 We had a lot of fun with these brilliant first graders! What’s happening in the future: Karen White and other teachers at her school are starting an iLab! She’s a firm believer in the power of playing to learn and wants her students to get their hands dirty working with a variety of new technologies. Favorite moment: Seeing the power of Kodable as a break from testing, and getting to be the run-away robot when we had a bug in our Fuzz Family Frenzy code. 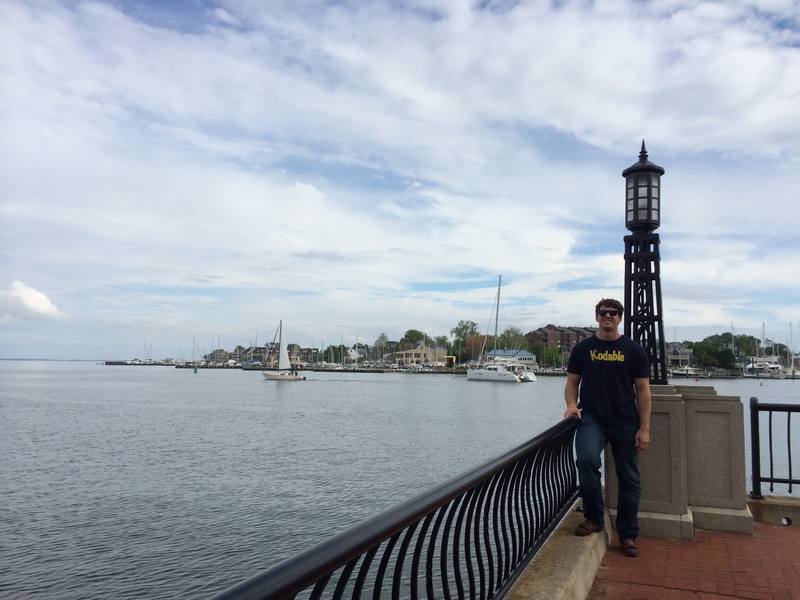 BONUS: We enjoyed a bit of down time at the US Naval Academy in Annapolis, MD. Wow! It definitely made me a proud American. One day down and another to go! Thank you to both schools for your kindness and hospitality. We’re loving every minute so far and we can’t wait to see more schools! Also, don’t forget to join the fun and support the Kodable Road Tour! Check out the neat T-Shirts we created just for the trip!